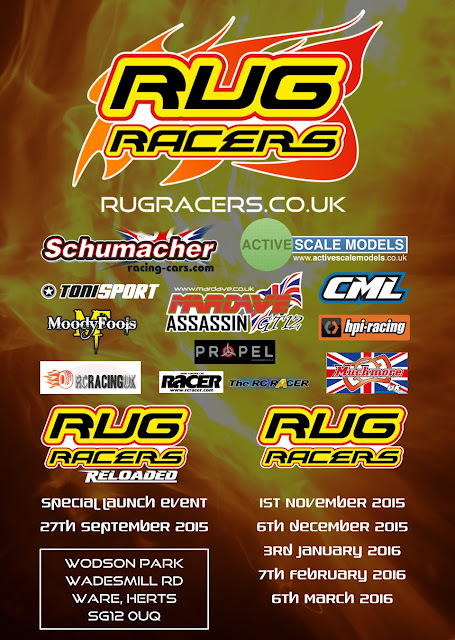 Rug Racers Round 2 welcomed us all with a familiar track and somewhat unfamiliar sound, between the last round the organisers had listened to driver feedback & based on this feedback re-invested the money straight back into a new sound system amongst other more subtle changes including allocated pitting being trialled and a larger rostrum. Everyone was asked to bring an item with them to donate to the local foodbank to help those that need it most during the Christmas period we was very pleased with the response from all those that brought something. These were delivered this morning to http://hertforddistrict.foodbank.org.uk/ in Hertford. In the same christmas spirit we gave the Rug Racers teddy a send off as he is now taking care of a poorly young girl making her recovery at Great Ormond Street. So onto the racing then. Controlled practice got underway just after 8 for 11 heats of 4 classes. After a re-sort for those that didn’t show this was reduced to 10 heats. GT12 Heat 1 which features most of the youngsters again did so with 7 of the 11 drivers all under 13 a familiar sight and good for the future of the sport. Richard White & Bradley Dilworth took 2 rounds each with Darcie Smith finishing 3rd twice. GT12 Heat 2 was shared amongst the top 3 or Steven Moore, Lance Walker & Stan Booty with Steven being the only driver to break through into 25 laps to surely see him move up later. GT12 Heat 3 was the Ben Vincent show with Chris “Mardave” Wilkinson & Tim Hancock taking 2 second place finishes each, Ben was surely in for a tough final with all 4 rounds being separated by less than 2 secs over the 5 minute run. 17.5B Heat 4 Hayley Baker took 2 of the rounds with Matthew Duncalf staying in touch for all 4 rounds. Heat 5 Rob Brighton took all 4 rounds with Daniel Chilvers keeping him honest, Heat 6 & Wesley Roper took all 4 rounds with Alex Mortimer taking three 2nd places. Heat 7 Colin Jackson took the 1st 2 rounds with Matt Worton taking the final 2 he was the only 17.5 driver to break into the 27 lap margin. Open Mod Heat 9 Damian Giddins & Richard Barton took 2 apiece with Doug Campbell & Terry Yarranton keeping them under close eye. Heat 10, Elliott Harper was clearly then man to beat taking 3 of 4 rounds with Kyle Branson close behind, Elliot unable to finish Round 4 saw Kyle take pole position. Onto Finals, C Final GT12 was contested by the 3 drivers of Daniel Robins, Jake Vincent & Darcie Smith, with 8 year old Darcie taking the overall result with a faster time. B Final GT12, with 2 drivers finishing less than 1 second apart Leg 2 would be decisive & so it proved with Lance Walker taking the overall win from Stan Booty & Richard White in 3rd. A Final GT12, With Ben Vincent poised to lead them away a rare mistake on lap 1 demoted him to last place and a solid fightback was on, it wasn’t enough though with Niall Cochran leading home Tim Hancock & Chris “Mr Mardave” Wilkinson. Leg 2 Ben lead lights to flag with Niall 2nd & Scott Morton in 3rd, Overall Niall, Ben & Tim. D Final 17.5B Hayley Baker checked out both legs early for the overall win from Adam Southgate & Raymond Cockman in 3rd, C Final 17.5B Rob Brighton showed the consistency needed from 2nd to finish both legs within 2 secs to take the overall victory from Ian Nicholson & Daniel Chilvers. 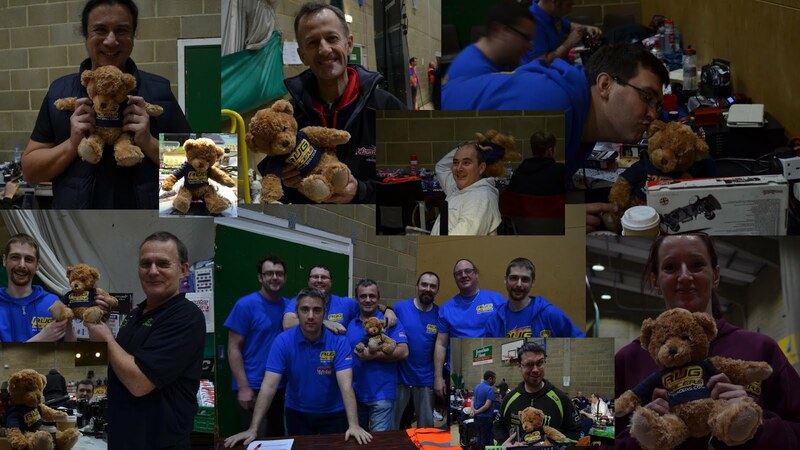 B Final 17.5B saw lots of position changes with Gary Jones taking overall with a 2 1 from Andy Lees & Anthony Adcock. A Final 17.5B Leg 1 & Jimmy Maddison took the win from 3rd on the grid ahead of Matt Worton, Leg 2 & Matt lead from start to finish with the very close attention of Jimmy, Matt drove a superb race to fend him off with the top 5 of Matt, Jimmy, Malc Hall, Michael Redshaw & Chris Page all within 5 seconds of the leading pair, Overall Matt Worton, Jimmy Maddison, Michael Redshaw. WGT A Final, Leg 1 Tom Hampson didn’t fancy hanging about and after a clean start and multiple pileups opened up a lead that would never be caught, Chris “Mr Mardave” coming home 2nd ahead of Ollie Payne, Leg 2 Tom again got a clean getaway and left the scrapping behind him, Martin Southall was holding Ollie Payne at bay for a while before running out wide to end up 3rd behind Ollie, Overall Tom Hampson, Ollie Payne, Martin Southall. B Final Mod In a reduced field Doug Campbell took leg 1 just ahead of Richard Thorpe, Leg 2 was won by Dani Young from 4th on the grid showing the old man how it should be done as he finished 2nd Overall Mark Young, Dani Young, Richard Thorpe. A Final Mod, leg 1 Elliott Harper blasted into 29 laps with Kyle a distant 2nd with 27 ahead of Ashley Wiffen, Leg 2 was also taken by Elliott who had to battle with Kyle for the win, Ashley again 3rd to leave the Overall as Elliott Harper, Kyle Branson & Ashley Wiffen. As usual a big thank you to all our sponsors, team members, photographers (Emma Conyers) & you the drivers for coming along and taking part. 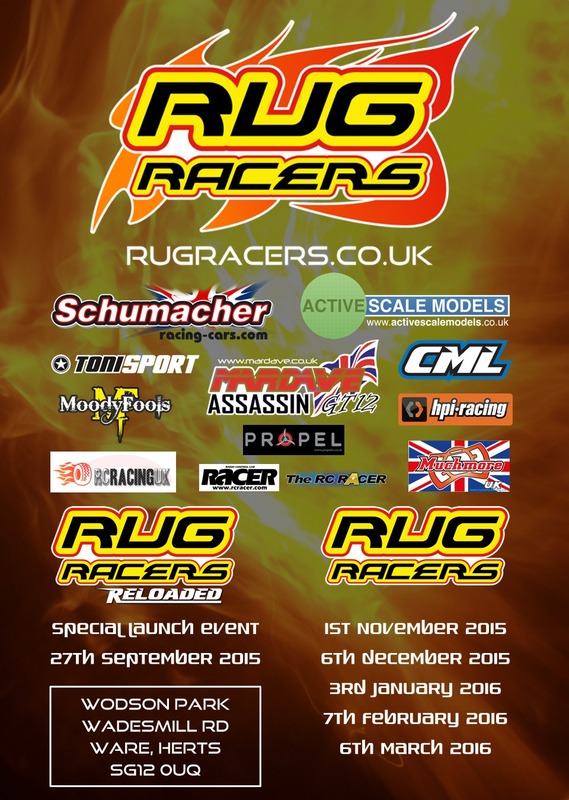 For all the photos & any videos please head over to our facebook page “UK Rug Racers” & our website rugracers.co.uk for further information. We would like to with you all a merry Christmas & a prosperous new year & look forward to seeing you all again for round 3 on 3rd January.